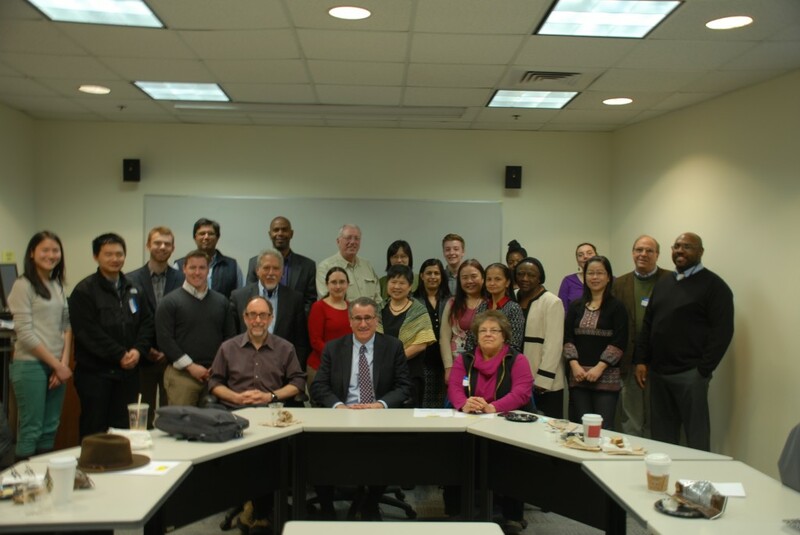 CAFEH, the Community Assessment of Freeway Exposure and Health Study, serves as the larger umbrella for 5 related community-based participatory research (CBPR) air pollution studies. These projects have full participation of the community partners in all aspects of the science including: developing the proposal, leading the study, and collecting, analyzing and interpreting the data. 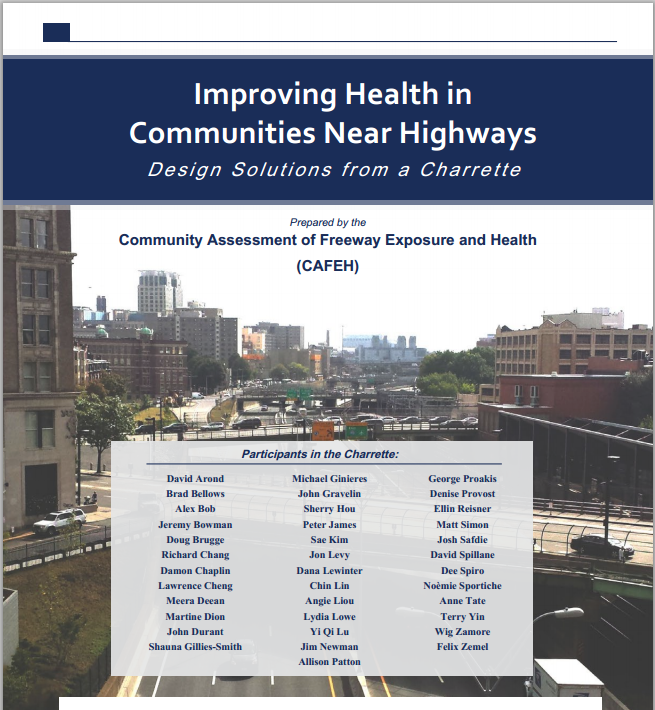 CAFEH is excited to release a new report, “Improving Health in Communities Near Highways: Design Solutions from a Charrette” on March 4, 2015. The report summarizes effective design approaches to reducing near highway residents’ exposure to traffic-related air pollution. Specific locations in Chinatown and Somerville are used as case studies. 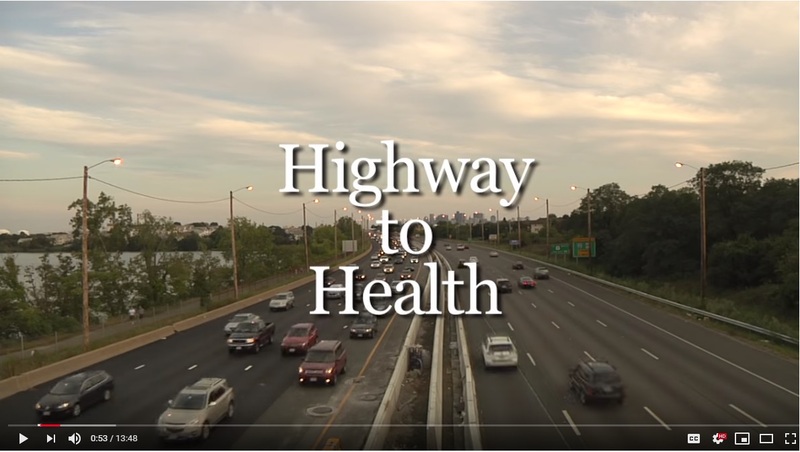 Studies Link Highway, Health Risks. 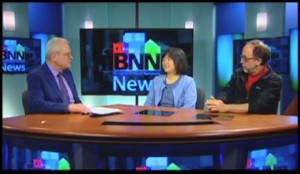 Boston Neighborhood Network Interview with Lydia Lowe and Doug Brugge. Click the image to watch the full video. 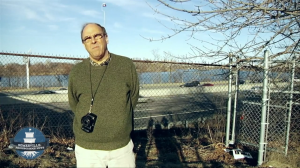 During the Fall 2011, a group of Tufts University students enrolled in the Producing Films for Social Change course produced a environmentally-themed film. Click image to view the video about the CAFEH Study! 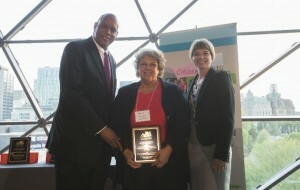 The CAFEH partnership was the recipient of the Community-Campus Partnerships for Health’s 2015 Annual Award Honorable Mention. Click image for more info! Ever Wonder Series – How does pollution affect us? 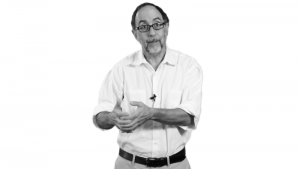 Feature Dr. Doug Brugge Click image to view the video! 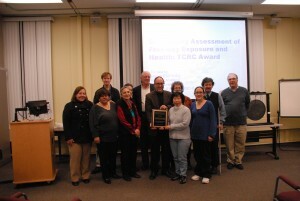 The CAFEH partnership receives the first Tufts Community Research Center seed funding award. Click the image to participate in the survey! 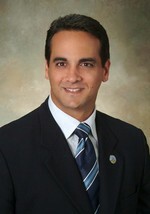 Following the release of our report, Somerville mayor Joseph A. Curtatone released an Op Ed about near highway pollution. Click image to view more info! 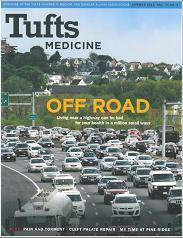 CAFEH featured in Tufts Medicine magazine. Click image to view more info!